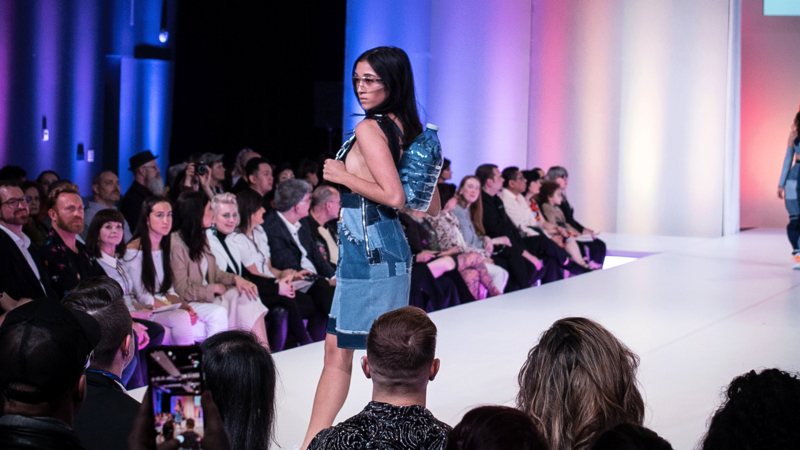 The Ryerson School of Fashion held its 31st annual Mass Exodus runway—considered to be the largest student-run fashion show in the world—on April 6 at Daniels Spectrum. 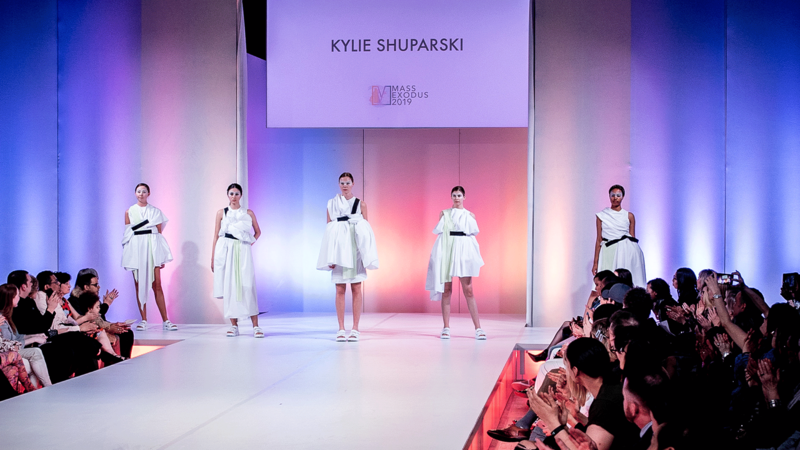 The event gives fourth-year fashion design students an opportunity to display their capstone collections to industry professionals and potential employers. 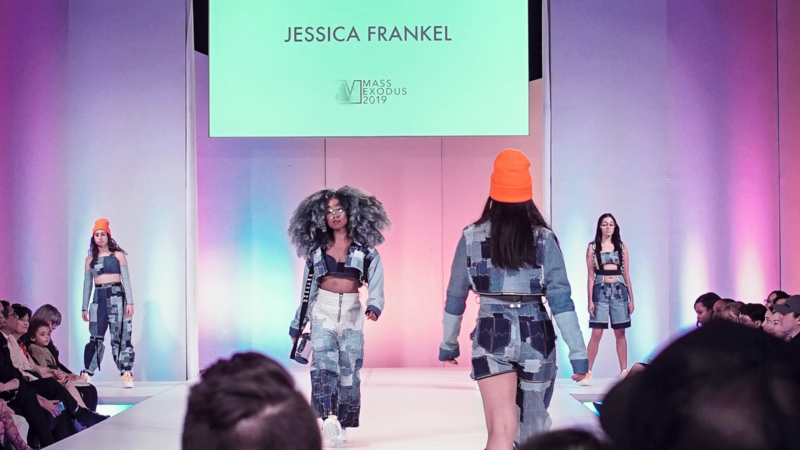 What made this year’s curated Mass Exodus show stand apart from past years was its diversity on the runway—not as the focal point but as a normalized aspect of the show. 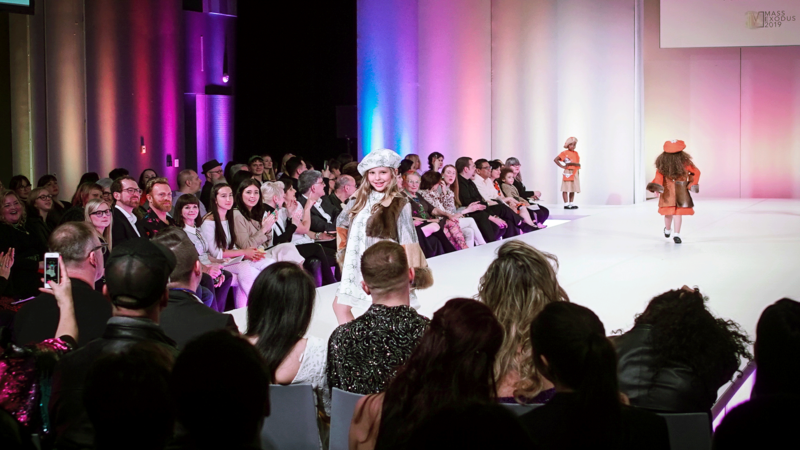 Students’ designs were based on a myriad of inspirations, from Cree heritage and the #MeToo movement, to The Simpsons and ’90s Hong Kong cinema. 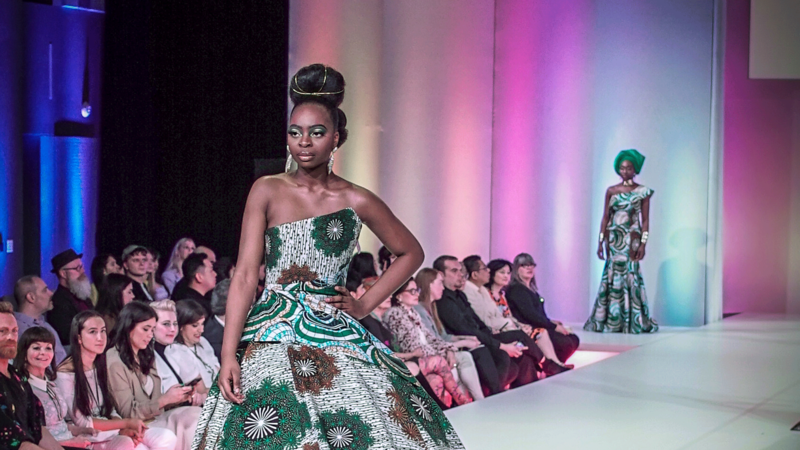 They also featured various design practices including Indigenous beading, 3D printing, laser cutting, patchwork and metal work, to name a few. 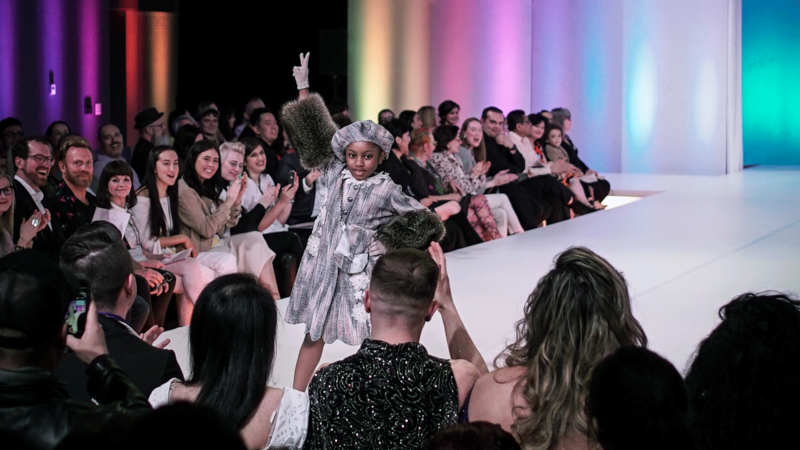 Memorable collections came from designers such as Joyin Rey, whose collection took a spin on femininity by featuring male models wearing women’s clothing, and Phylicia Taylor, who created a chic and elegant line for children complete with furs and berets. 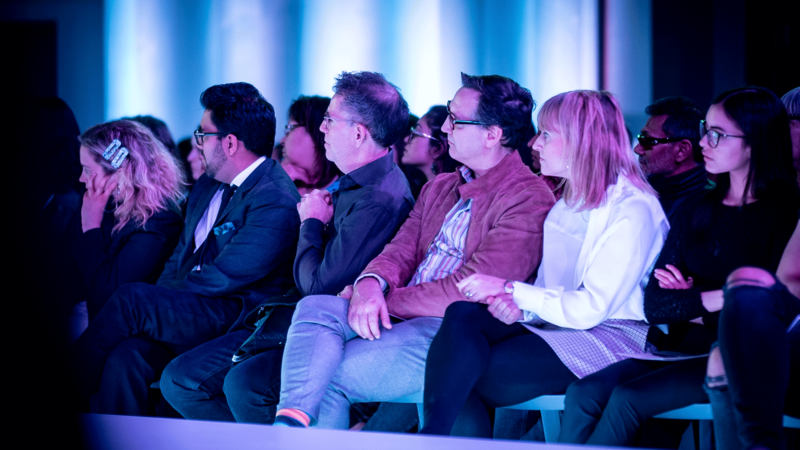 The show was curated by renowned writer, visual artist and musician Vivek Shraya. 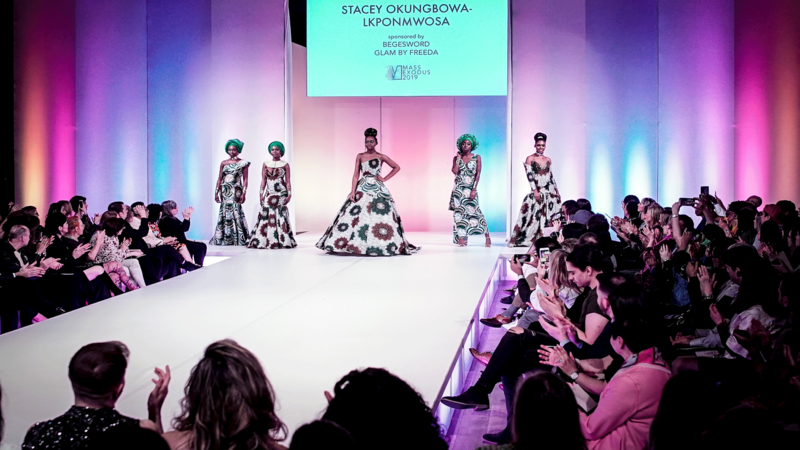 Shraya’s role as curator was to select which capstone collections to showcase in the coveted curated Mass Exodus show. 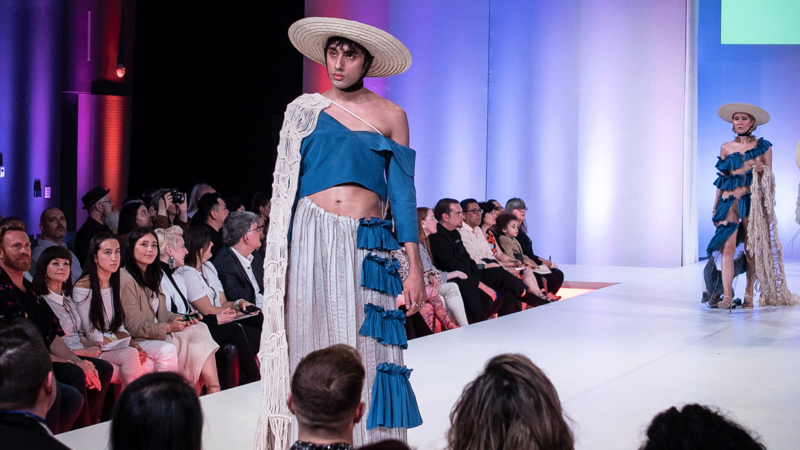 Shraya also asked attendees to reconsider fashion as “trivial” and “superficial,” and consider its immense influence—both positive and negative—on people’s self-worth. 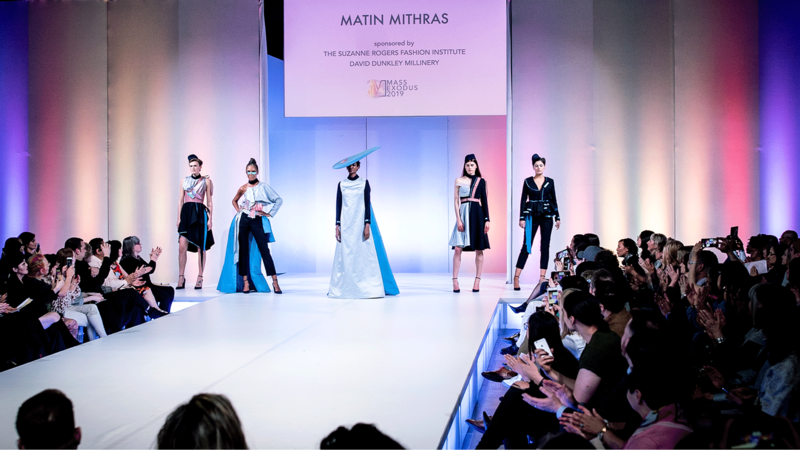 For the past four years, Shraya has worn the designs of Mic. 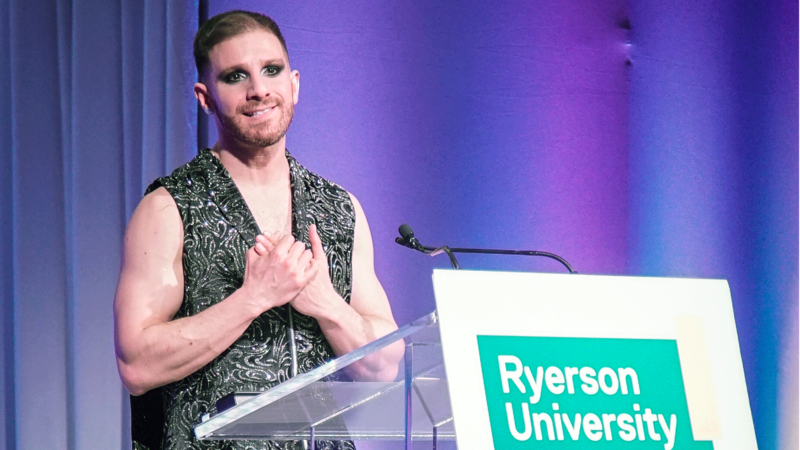 Carter, who teaches a course on gender non-binary fashion at Ryerson. 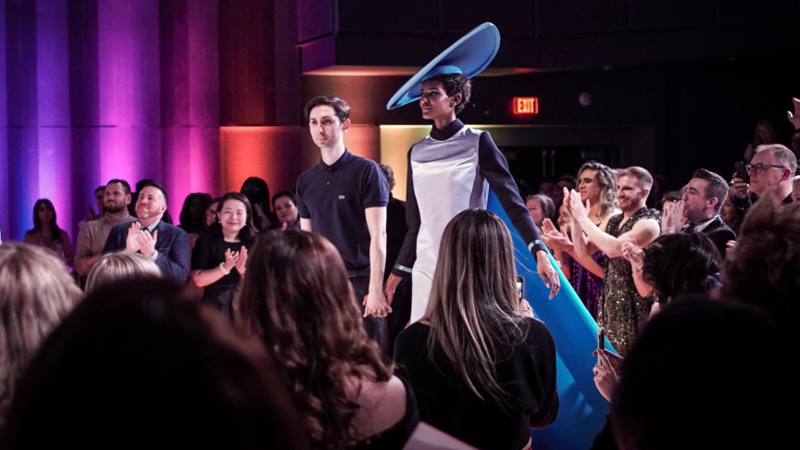 “Every time I put on [Carter’s] designs, I’m reminded that there’s nothing wrong with my body, my skin, my gender,” said Shraya through tears. 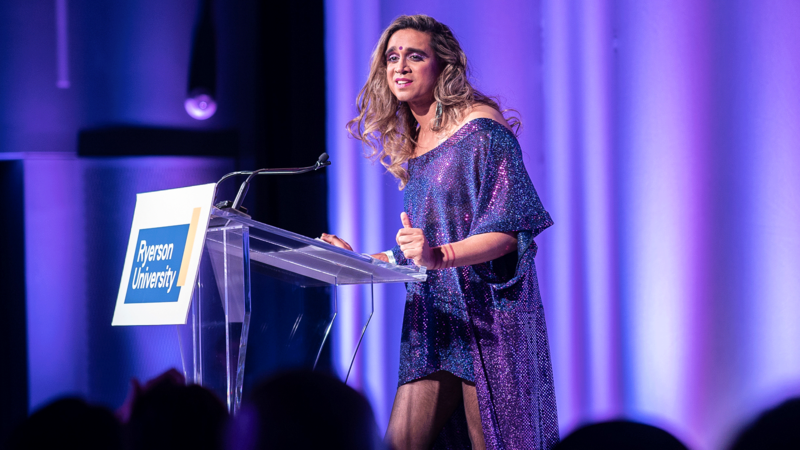 Shraya then broke into an a cappella rendition of her song “Girl It’s Your Time” to end off her remarks. 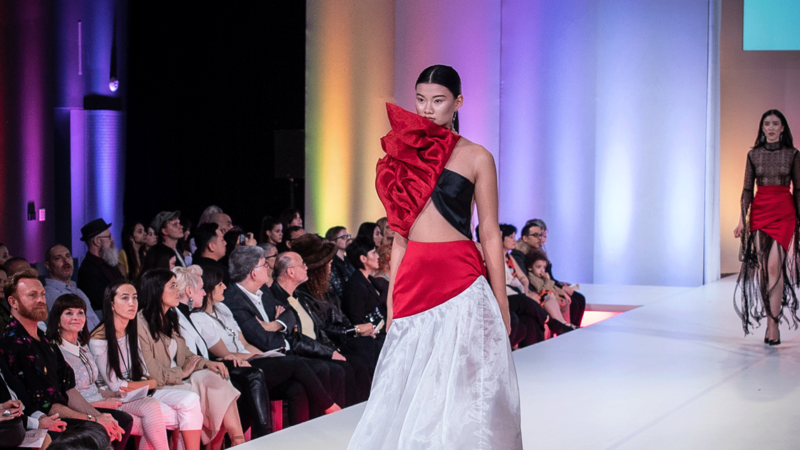 “Girl it’s your body, don’t ever say you’re sorry, ‘cause you’re not a copy,” she sang. 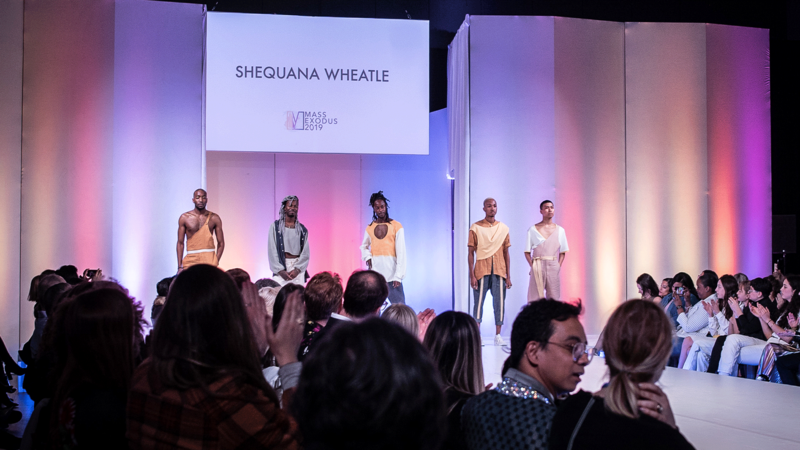 “I think that this shift is part of saying that we want to ground fashion in inclusion and decolonization and sustainability, but still let it be fashion! 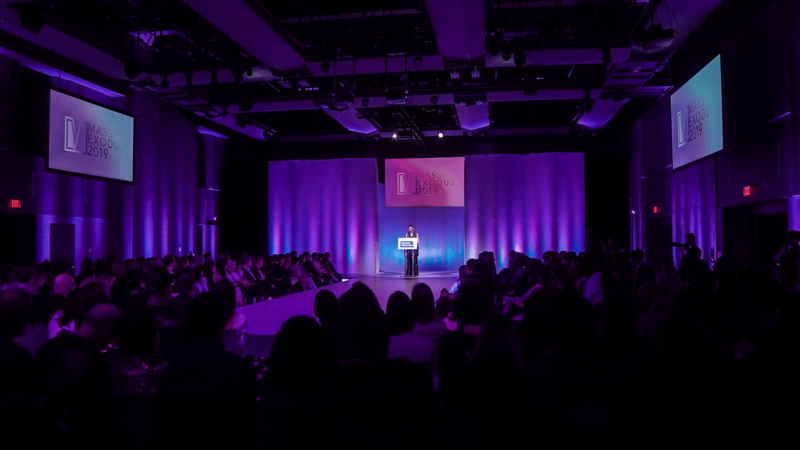 Let people express themselves and have fun and be glamorous and exciting,” said Barry. 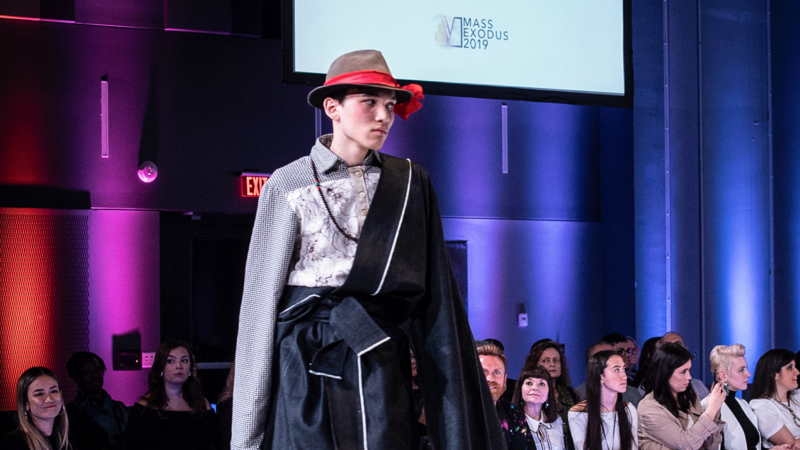 Check out photos from this year’s curated Mass Exodus runway below.